The Danish composer Carl Nielsen wrote his Symphony No. 3 Sinfonia Espansiva (opus 27) between 1910 and 1911. 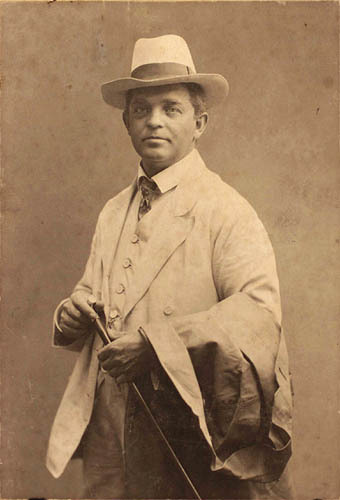 The symphony followed Nielsen's tenure as conductor at the Royal Danish Opera in Copenhagen. Nielsen himself conducted the premiere of the work, along with the premiere of his Violin Concerto, on February 28, 1912 with Copenhagen's Royal Danish Orchestra. The character designation of the first movement (Allegro espansivo) serves as the symphony's subtitle, but it is not clear what Nielsen meant by 'espansiva'. Composer Robert Simpson wrote that it suggests the "outward growth of the mind's scope". Within two months of its premiere the symphony was in the repertoire of the Royal Concertgebouw Orchestra in Amsterdam, and by 1913 it had seen performances in Germany (Stuttgart), Sweden (Stockholm) and in Finland (Helsinki). This arrangement was written for and dedicated to Jørgen Misser Jensen, for his 45th Anniversary as conductor of the Danish Concert Band. He conducted the premiere at the Tivoli Concert Hall in Copenhagen on June 20th, 2015.